First of all, the name of this wine is quite a mouthful to say. 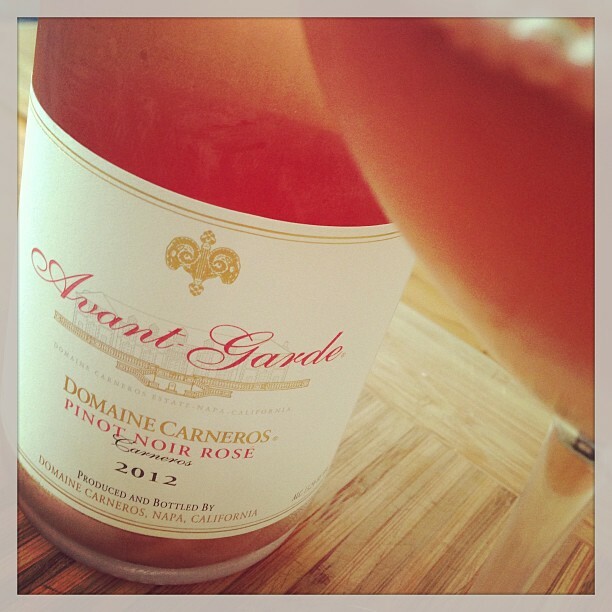 For simplicity and to save my fingers, let’s just keep it to “Domaine Carneros 2012 Rosé”…LOL. Second, I can’t believe Domaine Carneros took this long to come out with their first still wine rosé! On the nose – watermelon, strawberry and peach. On the palate was refreshing, light layers of strawberry, peach, and hint of watermelon. A very delicate dry wine. Great for a hot summer day! Only 250 cases produced. You can pick a bottle up at the winery for $25 ($22.50 club member) Hurry before they are sold out. Ah-vah gahrd! 😉 I love the patio and wish I were your neighbor!